Price negotiable. 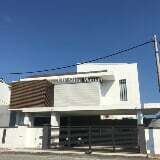 Location strategically about 4 minutes to Kuantan town. Indera Mahkota, KUIPSAS, UIA Kuantan. Co agent are welcome.